A natural disaster is unfolding in North Korea as the Korean peninsula is suffering an unprecedented heatwave and drought. The whole area is suffering from the heat with South Korea and Japan recently recording record temperatures of over 41 deg C, with more than a hundred dead and thousands hospitalised, however, North Korea's infrastructure is not able to cope with such temperatures and water shortage. According to the BBC, North Korea which has previously suffered bouts of famine, state media warned that key crops such as rice and corn were under threat. It called on citizens to "join the struggle" to safeguard harvests. "This year's high temperature is an unprecedented natural disaster." "Myriads of water carriers, tractors, trucks and other vehicles have been involved in irrigating croplands together with all the available watering equipment and devices," it said. 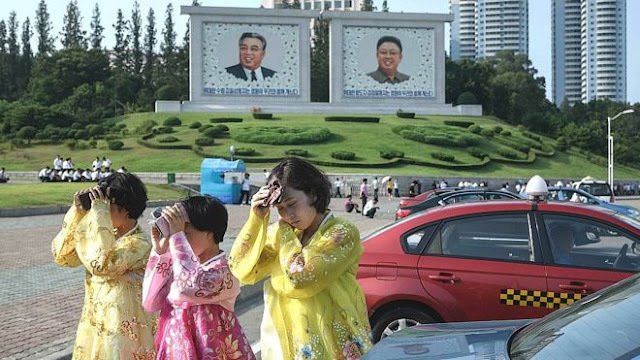 Temperatures in the capital Pyongyang hit a record high of 37.8C (100F) on Wednesday. The South's capital, Seoul, also recently recorded its hottest ever temperature at 41 deg C.